I’d like to address the myths and facts about the Darshan Yeshiva online conversion to Judaism program. This video was taken while I was on my recent trip to Florida and was staying in a lavish extended stay hotel, so enjoy the aesthetically pleasing background. Our definition of success is not driven by the number of people who sign up for our conversion program, but by the number of lives we impact. If there are good, local Jewish communities and rabbis, we want people to become part of those communities. If there are no options in their area, or the options they have simply do not work, then we are here to assist in their conversion. MYTH: Our program is expensive because converts are “bearing the burden” of running our websites, administrative costs, etc. Because the majority of our conversion students are on scholarships, we rely on the support of our Intro to Judaism, Torah Study and Darshan Training Program students to help ease the cost of conversion for people who are on limited incomes. When you take a class at Darshan Yeshiva, you are literally helping people convert to Judaism (while gaining a great Jewish education). Additionally, students who have more comfortable financial lives have the opportunity to pay more for their conversion classes, in order to help keep the cost of our scholarships as low as possible. We hope one day to be able to provide the scholarship program at zero cost. Last but not least, donations given to PunkTorah’s general fund are sometimes used to help pay for overhead costs we otherwise don’t recoup from charging for classes. To date, our program has three rabbis with bet din that include Conservative, Reform, Renewal and Reconstructionist rabbis. Our educational program was developed through the consultation of a rabbi serving a Conservative synagogue as well as college professor. For our students seeking a mikvah, our conversions take place in Conservative synagogues using their mikvahs, and the certificates of our students’ conversions are filed with their administration. FACT: We’re hiring rabbis to do this work, not us. 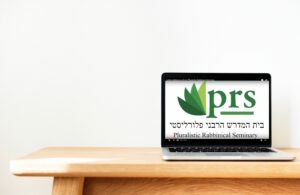 Rabbis are often too overwhelmed to create their own conversion programs. Alternatively, there are many retired and part-time rabbis who are looking for opportunities to work with students. Darshan Yeshiva bridges the gap between students and rabbis by hiring the best rabbis we can find to serve all different kinds of students. Darshan Yeshiva has a super-secret Facebook group for students of our program. Students are added once a month and can chat about anything they want to in a (relatively) unmoderated environment. Interested in converting to Judaism? Want to learn more about Judaism in general? Check out our website!